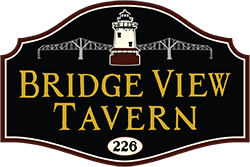 Welcome to Bridge View Tavern! We are a family owned and operated restaurant located in historic Sleepy Hollow, New York. We offer a casual setting and an eclectic menu of comfort foods, traditional pub fare, and in-house slow cooked BBQ specialties. We also offer fresh salads and a variety of meatless dishes for vegetarians. All food is made from fresh, high-quality and local ingredients. Bridge View Tavern is Westchester’s destination for Craft Beer. With 18 beers on draft and an extensive selection of bottled beers, we have something for every beer lover. We also offer fresh growlers and growler refills of difficult to find craft brews. Click here to find out what’s currently on tap. 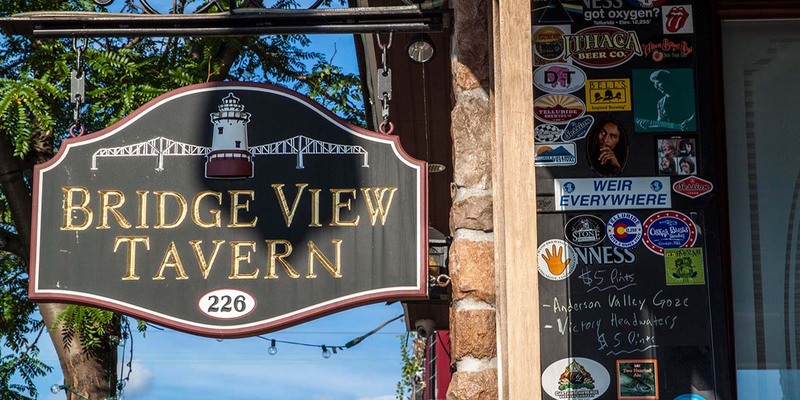 Bridge View Tavern overlooks the beautiful Hudson River, Tappan Zee Bridge and famous Palisades cliffs. Stop by and enjoy the majestic view with a great beer, signature cocktail, hearty snack or delicious meal. Please Note: This email is checked only periodically. Reservation or catering requests must be made via phone.